Brands with an established and consistent message attract deeper engagement and exert a stronger influence. We lead our clients through an on-site messaging workshop that uncovers the key messages that allow your brand to stand alone in even the most fiercely competitive industries. 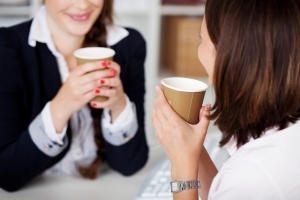 The way you talk about your brand can be expressed as a set of characteristics relatable on an emotional level. So whether your brand is approachable, trustworthy, and credible, like Anderson Cooper, or blue-collar and rough-and-tumble like Dennis Leary, we get to know you so we can define the values that make up your brand. Once we’re equipped with a solid definition of your identity and your audience archetypes, we give you the guide for telling your brand’s story efficiently and consistently across all touchpoints and mediums. 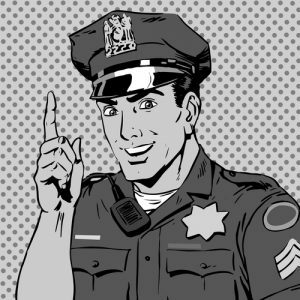 By using a voice and tone unique to themselves, brands can begin to differentiate and send their message in a way that turns prospects into customers, whether it’s on social media or in verbal communication. Operation Warm provides brand new winter coats to children in need, helping to improve self-confidence, peer acceptance, school attendance, and overall wellness. 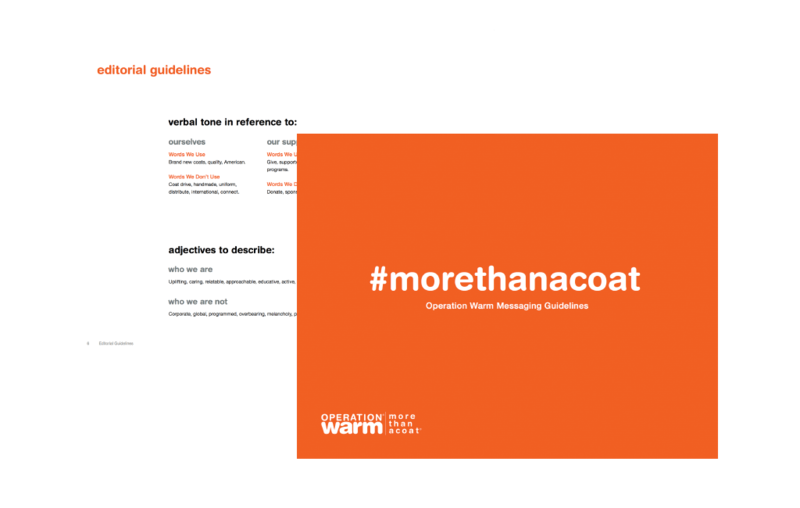 We were thrilled to not only redesign the organization’s website from the ground up, but also provide comprehensive messaging guidelines that authentically explain Operation Warm’s legacy, goals, and why a gesture as small as a new winter coat can help a child realize his or her potential. Why messaging? In today’s varied digital world, brand’s messaging displays in more than a dozen channels and mediums. So rather than creating messages to solve the need of the moment, we align Operation Warm’s message across different touch points—whether it appears in a Facebook News Feed, a major in-person event, or in an email newsletter. Operation Warm’s brand is now a unified and connected experience, no matter the medium, channel or category.